For this year’s Consensus article, we’re excited to highlight one of our most innovative clients, WeWork. 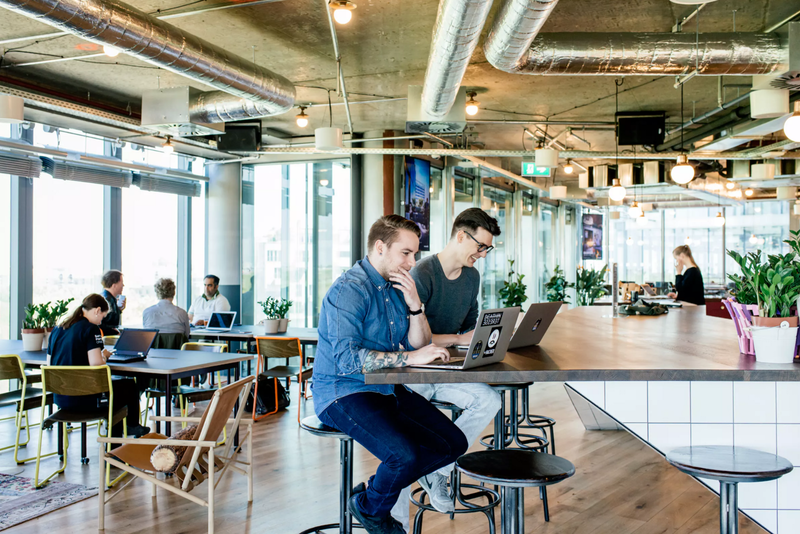 A platform for creators, WeWork provides over 130,000 members around the world with space, community, and services through both physical and virtual offerings and currently has more than 163 physical locations in 52 cities and 16 countries around the world. In Los Angeles, members can work at one of 15 buildings across the county, and for southland residents, this means a new take on the traditional workplace and the standard commute. With offices spread throughout greater LA, from Pasadena to Santa Monica, Culver City to Manhattan Beach, residents now have the option to live closer than ever to where they work. WeWork locations are thoughtfully selected to allow for multimodal transportation options, cutting down commutes and providing more time for productivity. Every WeWork location has a Walkscore in the 90th percentile, close to public transit, and surrounded by mixed-use amenities. 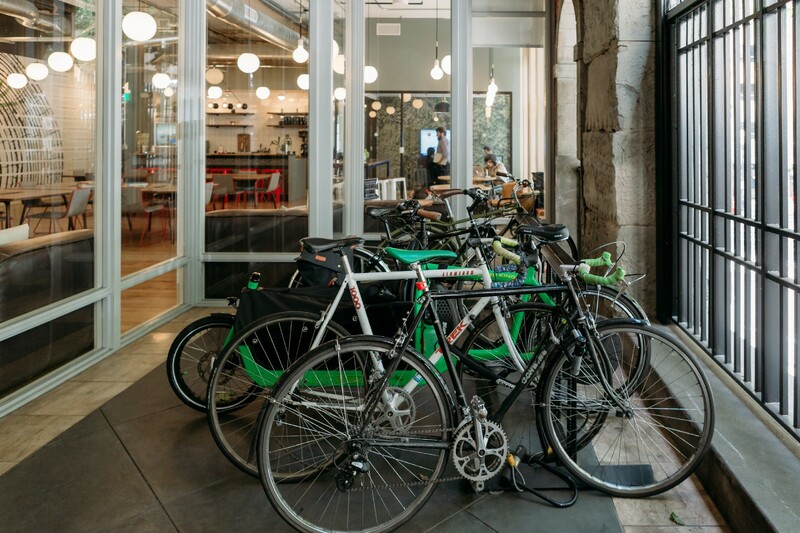 As LA County embraces public transit, ridesharing and biking, WeWork encourages its members to do the same. Transit-Oriented: WeWork Long Beach is steps away from stops for the Metro Rail Blue Line and Passport buses. 2. It eliminates the need for cross-city commutes. WeWork members have the flexibility to work out of any WeWork, anywhere in the world. Locally, this is a huge time saver, enabling people to do more in one day. 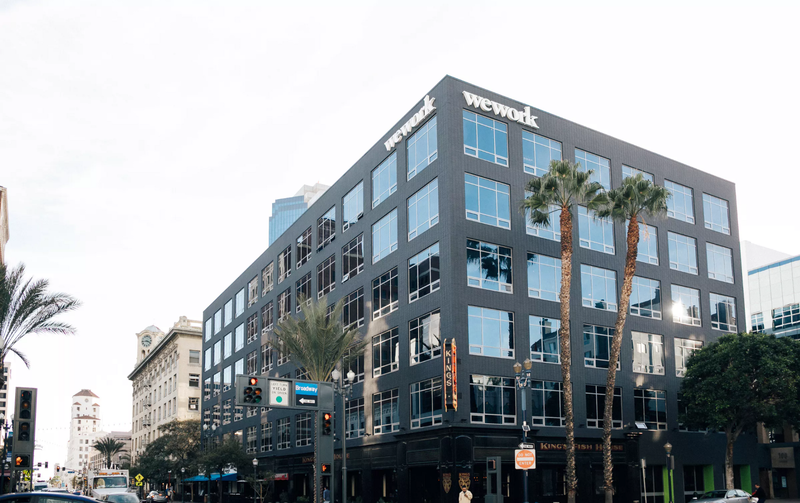 Whether it’s a client meeting in Long Beach, new business pitch Downtown or a lunch meeting in Burbank, WeWork has thoughtfully placed locations throughout the Los Angeles area, eliminating the need for cross-city commuting. 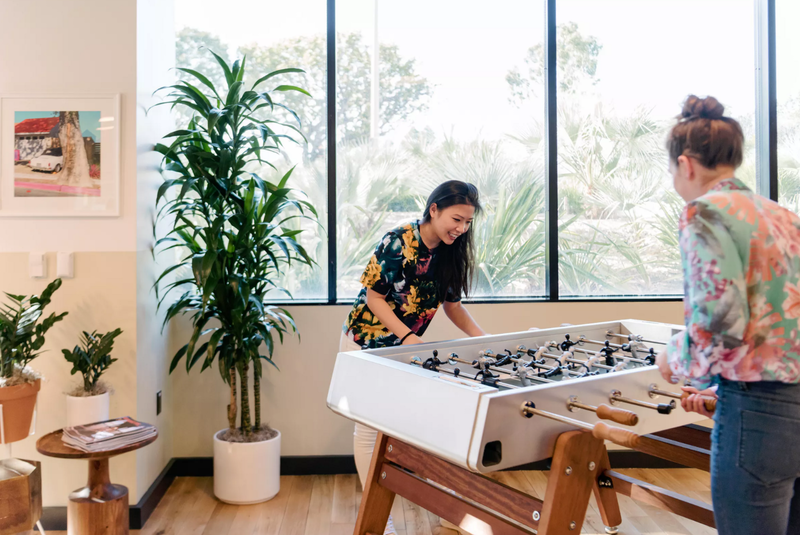 Members have access to “hot desks” and services in any WeWork location, cutting down travel between meetings and increasing day-to-day productivity. And as companies vie for talent and work hard to keep their best employees, many are turning to WeWork to recruit and retain those who may not want to drive across the county to a company’s main office every day. 3. Services, amenities, collaboration and community all under one roof. WeWork has more than 100,000 members who collaborate in-person and digitally, in beautiful, functional, well-kept spaces that help facilitate this type of work and create an atmosphere of vitality for today’s creators. WeWork members from different industries and walks of life help each other’s businesses thrive by sharing advice, business ideas, and even services. The more people in a WeWork community, the more opportunity for connection and collaboration for members. WeWork members also have access to business-critical services as well as lifestyle benefits. Through WeWork’s Services Store, members can “shop” for software to help meet their business needs. Here they will find companies providing health care, payment processing, IT support, payroll, and legal services. Please welcome WeWork to the Mobility 21 family. Their commitment to helping address the mobility issues in our region will have a positive and lasting economic and cultural impact on the neighborhoods and cities we call home. We believe that what’s happening in WeWork is a microcosm of what happens at the intersection of business, lifestyle and mobility at a neighborhood and city scale, and that what’s good for WeWork — is also good for cities. Be sure to check out WeWork’s booth at the Mobility 21 Summit in September to learn more about their offerings and how you can be part of their movement to end the commute in Los Angeles. To set up a tour, contact andrea.conant@consensusinc.com. Consensus is an award-winning public relations, marketing and community engagement firm distinguished by our innovative communications programs, visit our website to learn more and be sure to say hello to us too at Mobility 21! Engaging communities to build the future since 1986.